Gillian Griffiths, Senior Scopus Product Manager and search specialist, recently held a webinar sharing "Scopus search tips to make your research more effective." In case you missed it, you can watch the recording here. 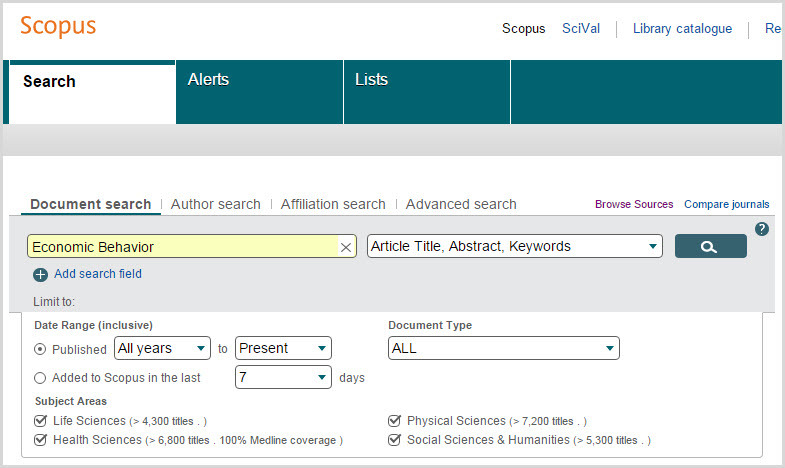 First, it’s important to know that the data in Scopus is highly structured; every piece of information is tagged, even down to the initials of the author in a reference inside an article’s list of references. This is what ensures that your search will be precise and return reliable results, and also differentiates Scopus from web search engines (watch minutes 00:09:30-00:12:43 to learn more). 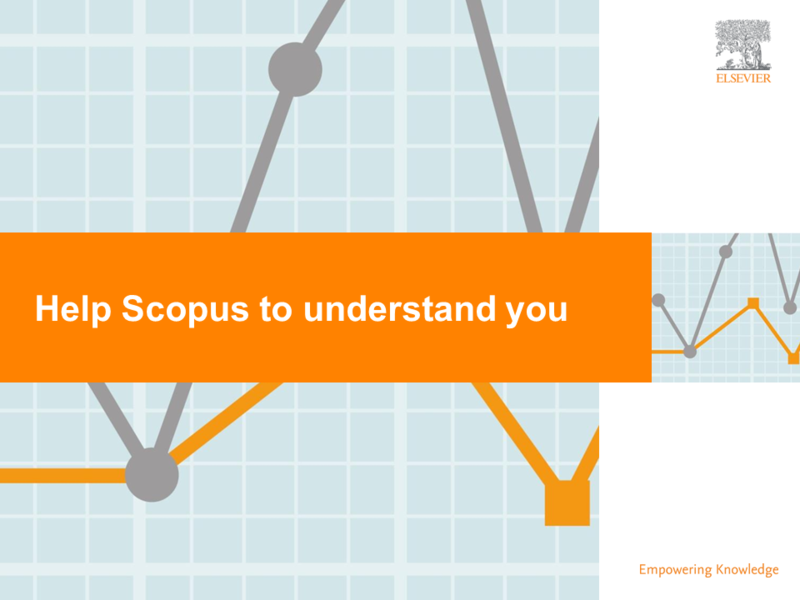 There are multiple ways the Scopus team works to identify potential product changes, with a focus to bring you the best experience and provide information faster and with deeper insights. From listening to user feedback to investigating new technology and trends, the product team continuously works to both iterate on existing features and functionality and develop new enhancements. For an A&I database like Scopus, which serves researchers, institutions, and corporations from all over the world with timely information from over 5000 publishers, there is not a single “typical” user. Each individual user has a specific need and an ideal way they would like the product to work. Scopus surpasses 120,000 indexed book titles! Scopus has now surpassed its targeted goal of 120,000 books indexed since the Scopus Book Titles Expansion program was first announced, marking the conclusion of the project (10,000 books will continue to be added annually). Reflecting back on the original goal, this is 45,000 more books than initially planned. Additionally, over 60% of the indexed books fall into the arts and humanities and/or social sciences categories, achieving a key objective to better support the book-based nature of these disciplines. To view a list of all books now indexed in Scopus, download the latest books title list. You can sort the list by publisher, publication year, discipline and search by ISBN. 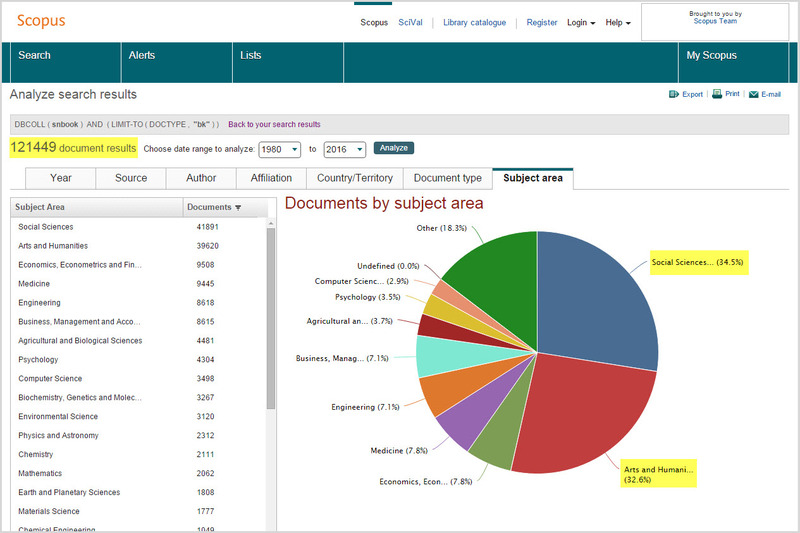 What defines a book in Scopus? Books are indexed on both a book and a chapter level. Read more about Scopus surpasses 120,000 indexed book titles!